Like ISO 9001 is for other industries, AS9100 marks an organization that is committed to quality and continuous improvement. Consequently, accreditation as AS9100 can determine whether or not you may be a supplier for many businesses within the aerospace industry. Further, AS9100 accredited organizations retain a higher level of customer satisfaction and practices that reduce risk. With the release of ISO 9001:2015 standards, AS9100 needed to change in order to continue encompassing the new ISO standards. The new AS9100 standards needed to reflect changes to the current manufacturing environment and customer market. There are 15 key factors that AS9100D changed in order to match the evolving needs of the industry and to continue alignment with the new ISO 9001:2015 standards. This new set of standards is a critical tool for quality aircraft and aerospace products and delivery. 1. 10 Elements: The entire AS9100D standard has been renumerated from 1-10, even where contextual changes have not occurred. 2. Product Safety: Organizations are responsible for determining what controls are needed to ensure the safety of their products or services. Employees must be trained on these requirements and how what they build can affect others after it leaves the production facility. 3. Human Factors: This clause has been added in consideration of Production Control and Corrective Action. 4. Counterfeit Parts Prevention: In a new clause, AS9100D requires organizations to maintain a procedure for counterfeit parts prevention. This procedure must, at a minimum, include sampling and analysis of raw parts and materials. 5. Risk Based Thinking: Risk has always been assessed at the point of contract review or quoting. Now, the requirement asks organizations to assess risks associated with the process, the corporation, opportunities, and threats then make sure these risk are communicated to all pertinent departments organizationally. 6. Organizational Context: Organizations must conduct regular analysis of their competitive environment using a SWOT analysis (strengths, weaknesses, opportunities, threats) and demonstrate an understanding of each. 7. External Parties: The notion of an external party has expanded beyond the traditional customer to include parent corporations, stockholders, employees, regulators, etc. These parties need to be documented with general descriptions. 8. Objective Programs: Organizations must have a documented plan for each corporate objective. This includes what is to be done, required resources, personnel responsibilities deadlines, and evaluation plans. 9. Ethics: An ethics policy and training are recommended for all employees as the importance of ethical behavior must be communicated to all personnel. 10. Management Review: The clause has a few changes, including new input requirements. Management review should include the performance of external providers, resource adequacy, risk-management and risks that have been identified. 11. Supplier Monitoring: Supplies are also among those to be measured in this new standard. Organizations must measure supplier on-time delivery rates and quality rates. 12. Purchasing: The new AS9100D has expanded the requirements associated with flow-down, including requirements for suppliers. These include product safety, ethics, and conformity. 13. Communication: Organizations must detail internal and external communication plans. These should include what triggers communication, when it will be communicated and by whom. It will also show how to communicate and with whom. 14. Change Management: The new AS9100D places special emphasis on the quality management system’s change processes, planning, production, and contracts. 15. Organizational Knowledge: With this clause, the AS9100D give special attention to pushing companies further toward institutionalizing knowledge. This means organizations know what knowledge and training each position requires, alongside job descriptions. 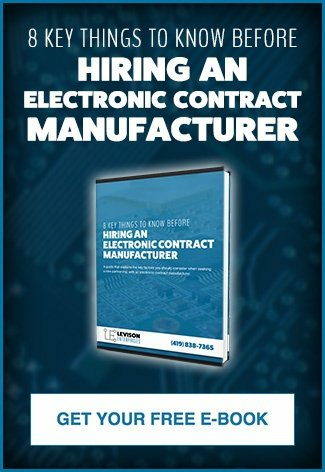 Organizations that are transitioning to the new AS9100D standard can best begin by educating relevant employees on the revisions. A quality management system can only be as strong as those who uphold it. AS9100D accreditation is but one of the many quality standards that Levison Enterprises proudly maintains. 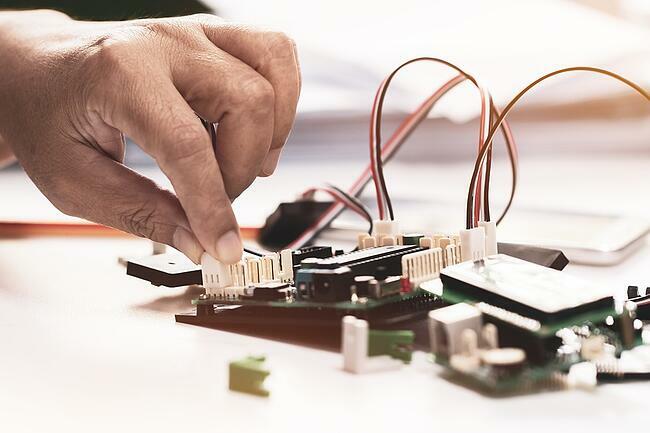 As an electronics manufacturer for the aerospace industry, we have eagerly evolved our quality management system to match the needs of a changing industry and marketplace. We hold these certifications and accreditations not because they are required. We hold them because we believe in quality and want our customers to know, right away, that high-quality, dependable and on-time products are what we believe in. So if you are in the aerospace industry or not, your product is given the same level of high-quality attention to process, product, and customer satisfaction.